The Grenada Tourism Authority (GTA) visited its closest neighbour and largest source market in the region, Trinidad and Tobago, as part of strategic marketing efforts to continue building awareness of Pure Grenada as a year-round vacation spot for Trinbagonians. 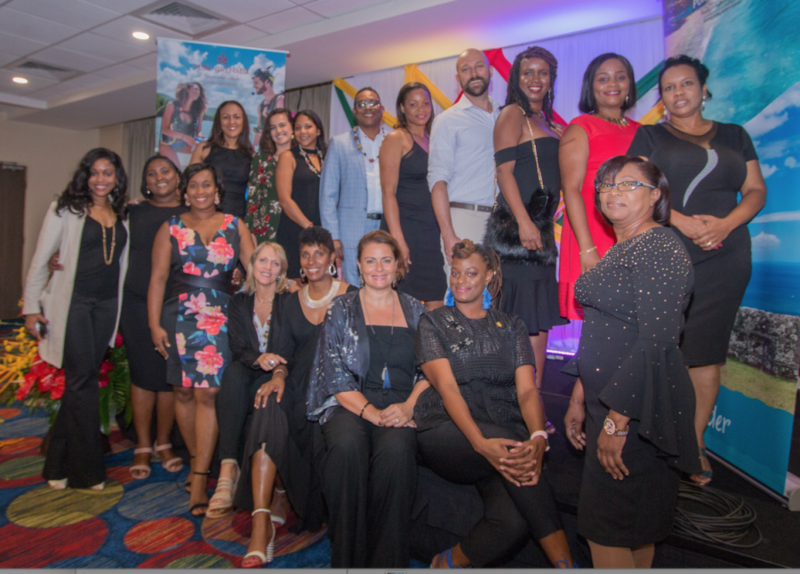 Built around the promotion campaign Let’s Go Grenada, the delegation engaged key media and travel trade partners about current developments within the industry during events held at the Hilton Trinidad & Conference Centre, from 20-22 March 2019. The 3-day mission began with television interviews on CCN TV6’s Morning Edition, CNC3’s Morning Brew; radio appearances on Boom Champions and Power 102 FM as well as a one-on-one interview with LoopTT.com on 20 March. On 21 March the campaign continued with an interview on TTT Live’s Now Morning Show and a media reception in the evening. The final day of the road tour included an interview on Synergy TV’s morning show Breaking Dawn. A travel agent expo and luncheon was also held where travel trade partners were able to engage with hotel partners. At both events, invited guest learned about the newest developments and the year-round events by the GTA’s representatives. Pure Grenada’s delegation was led by GTA’s Marketing Manager, Francine Stewart and supported by GTA Marketing Executive, Shanai St Bernard and Public Relations Account Director, Jennifer Johnson, Cheryl Andrews Marketing Communication. Hoteliers and industry partners who also participated in the campaign included Dyan Ameda and Nekeisha Telesford-Gilbert, Coyaba Beach Resort; Odissa Gellineu, Mount Cinnamon; Marie Fielden and Maria Gooding, True Blue Bay Boutique Resort; Juan Pilier, The Royalton Luxury Resorts; Nasha Bailey, Sandals Grenada Resort & Spa; Wendy Bertucci, Laluna Boutique Beach Hotel and Villas; Christine Nelles, Le Phare Bleu; Khadija Moore and Jalil Moore, Kalinago Beach Resort; Maria Bennette, Point Salines Hotel; Belinda Bishop and Shannell Parris, Flavours of Grenada; Karen Medford, I am Local and Janelle Gangoo, Caribbean Airlines.